You have GOT to meet this one of a kind musical family! They play all kinds of music and all kinds of instruments. They probably play music you have never heard of. 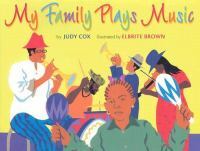 The cool little girl of this family introduces you to each family member and the music they love to play best. Great illustrations add to a story that is rich with rhythm and fun. You are going to love this musical adventure! You can bet your tambourine you'll have a stomping good time! Violet LOVES music! When she was only a few hours old, she could be found banging her rattle on her crib. At two, she loved playing the horns she made with the paper, crayons, glitter that her aunt gave her. And boy, could she make that horn wail! By the time she begins kindergarten, Violet is thinking of music all the time. She dreams about music! Is this normal behavior for a kindergartener? Could there be other music lovers like her out there? If you are a music lover in a MAJOR way, then you have got to check out this book! It will be music to your eyes! 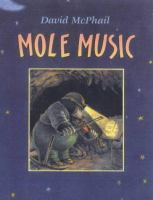 Mole lives underground and has always lived a simple life digging tunnels. Mole likes his life but feels that something is missing. One evening Mole watches as a man on the TV plays the most beautiful music that he has ever heard. " I want to make beautiful music too," Mole says to himself and he sets out to do just that! Mole purchases a violin and then begins to practice. As the years go by, Mole grows better and better, becoming happier than he's ever been before. As his ability to play beautiful music increases, he unknowingly shares it with others. McPhail’s touching story and wonderful illustrations will delight music lovers everywhere. Charlie Parker was a great saxophone player. He played a kind of jazz called be bop. 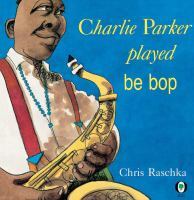 Meet Charlie Parker in this musical book and chant such phrases as "fisk fisk" and "Boppitty, bibbitty, bop. BANG!" The colorful, bold illustrations reinforce the bouncy humorous tone. This book is a great introduction to jazz and should definitely be read aloud to get the full rhythmic effect. Have you ever wondered how kids make music in different countries like Argentina, Russia, or Japan? You can learn about the different kinds of music and these countries and more while reading Music Everywhere! This is a musical trip around the world...and you don’t even need a passport. 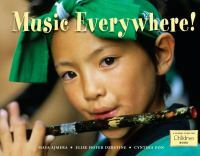 Readers will discover amazing photographs that show how children around the globe make and enjoy music in their culture. 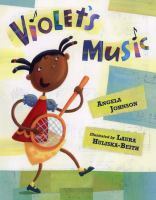 Instructions about how you can make your own musical instruments from materials you have at home are included at the end of the book. Find out more about how music brings people together all over the world by reading Music Everywhere then make a little music of your own.